Apart from sharing selfies and receiving those notifications, you can be get paid to use facebook. You can how to earn money online from facebook in various ways. One of such ways is to sell a certain number of likes with a price tag. You can be get paid for selling facebook page likes. But this way you will not always earn the same amount as it is shown here. I have seen people selling 1000 likes in Rs.50. Your earning depends on the demography you are targeting and type of client you can get. There are certainly other ways to make money on facebook by which you can earn much better amount. Although some of them require initial investment either monetary or time but you will get a lot of money in return. A facebook page has the potential to earn as much as a billion. The Indian startup Inshort was first started as a facebook page which later became a startup for sharing any news article in 60 words. To earn money from a facebook fan page, first you must create one. And then follow this small guide. You must be clear from day one that you have to make money from your fb page. For that, you must know the potential of a niche which will help you to earn money and your interest in the topic. For example, an affiliate marketing fan page will generate a decent earning from websites like amazon. 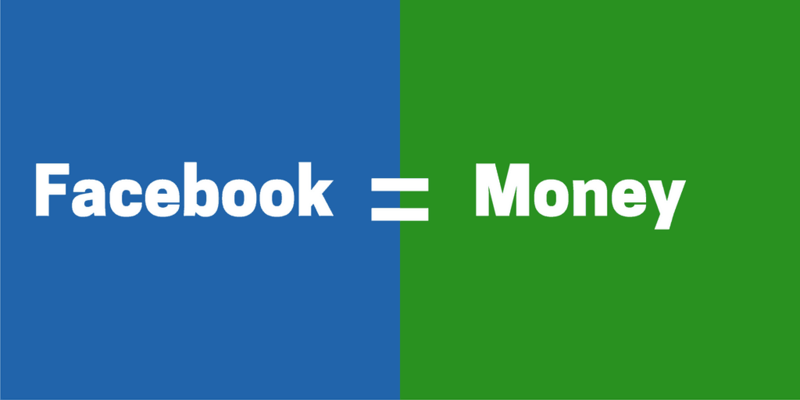 Earning from a facebook page is not a fortnight work. It is also important that you must have the basic knowledge about the field so that you can create content for your fans and inspire other people to like your page. Start sharing content. Your content should be such that people read/watch and share. Facebook pages are said to have a low organic reach and people often forget you if you are not consistent. You must have a pre-written pool of content. Also, you should schedule your posts so that if you are busy somewhere, your page will still keep running. You can schedule your social media posts with apps like Buffer and HootSuite. In marketing relationship building is compulsory. You will get your first payment from collaborative promotions or as sponsored posts. Sponsored post means that you get paid to write (and post) about a brand, on your fb page. Or, you can make money by posting links of other brands. If you have a decent fan base and have developed a name in the town, you can apply to the affiliate programs to earn more money. Few famous affiliate providers are clickbank, cj, shareasale, amazon etc. You can use facebook’s make an offer feature to earn money by selling products. Put the link of your product in the link box and give a coupon code to offer a discount on the product. You can also use an affiliate link from any e-commerce site and attach a coupon code (not necessary if the company does not offer a discount). Your fans will buy the product from your link and you will earn money through the affiliate. You can put the paid links on facebook from any of the websites, Amazon, Flipkart, Snapdeal, or whichever provides a commission on their earning. Give an attractive offer like 10-15% discount or buy one get one free. Your offer should be competitive or better than your competitors. Promote this offer with facebook paid ads. Or, involve influential facebook pages or people to promote your offer. You can earn $50 per hour by becoming a freelance facebook marketer. Analyse facebook stats. You must be able to predict with data analysis that, which type of posts work better on which day of the week. Marketing can become successful only if we are able to measure the stats. Like google has their analytics for websites, facebook has its own analytics for pages. Ability to make marketing strategies and decisions. A marketing campaign cannot be successful without a strategic planning. An effective marketer knows what will be the results of a campaign at the end of the month. Ability to create a facebook friendly content. For example, posts with 40 characters on facebook get 86% more engagement. You must know which type of content works better in a situation. You can earn money by becoming a facebook app developer. Or, you can develop a facebook app independently. In your app you can earn money by applying for banner ads or you can sell virtual goods of your own or from some gaming companies like EA, Zynga, Popcap etc. You can earn money by selling your old facebook accounts. Earlier it had become a trend to make more than one account. But now marketers are buying those accounts for their promotional purpose as facebook gives more weightage to an old account. Similarly, you can sell your old facebook group or page with a good number of fan base. Making money from facebook is a little tricky. Facebook does not allow organic promotion to a large number of fans. But the trick here is, if you can keep your audiences engaged, you can win the organic reach to a much larger extent. You can suggest me more earning methods from facebook here in the comments. I’m very confused this post please help me, anybody. secondly, i dont know how to go about establishing it . This post is very useful and can guide you through your journey of making money on Facebook marketer only if you are ready to learn and implement the value here..
Really interested in freelance face book market, but i don’t understand how to go about it, i need a mentor please. I really want to do this, but how ! Please guide [email protected] i need some mentors who started already. I created new/ media page on Facebook, how would I get money when peoples like, share, and comments in the page? You have to grow your community and pages before thinking about monetising. Yeah..same Question I too have. So how to grow the community..can you please ellobarate..do we have to pay to Facebook for promoting our page .. There is a great way to make money from your Facebook page. You can create an account on PicturePunches and share your memes on your Facebook page. PicturePunches is a meme site that you can earn from by posting your memes. Basically you make memes from your sense of humor.